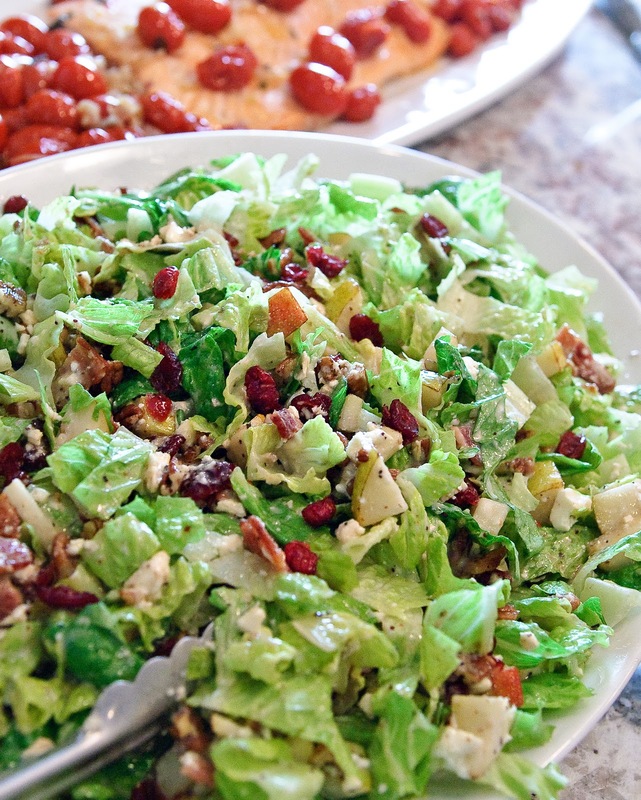 *On a large platter, combine the lettuce, pears, cranberries, pecans, bacon and feta cheese. Drizzle generously with poppy seed dressing, followed by some of the balsamic vinaigrette. (I would estimate that I used about a cup of dressing: 70 percent poppy seed dressing and 30 percent balsamic vinaigrette) If you prefer your salad to have more dressing, feel free to experiment with the combination. This entry was posted in Cooking and tagged cooking, healthy food, salad by shaoxilizheng. Bookmark the permalink.